This first class hotel offers accommodations worthy of the Savoy name. 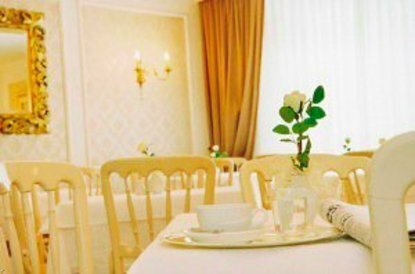 You can expect every modern comfort along with a charming Viennese atmosphere. The Savoy Hotel Vienna is located close to the city centre in one of the most important areas in Vienna and is within walking distance of the famous Ringstrasse which was built under Emperor Franz Joseph I and has numerous historic buildings. This hotel has a typical Viennese atmosphere and comfortable furnishings. There are 43 elegant, spacious rooms with private facilities, cable television, radio and minibar. The hotel provides a typical Viennese international buffet breakfast each day. Construction work taking place Opposite property from 16 April 2007 indefinitely.